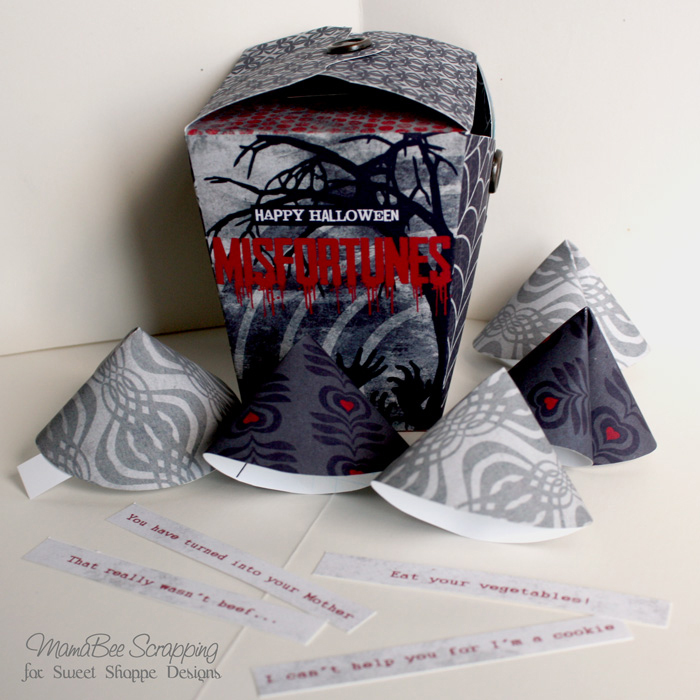 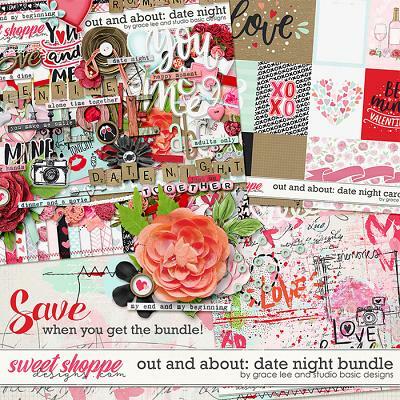 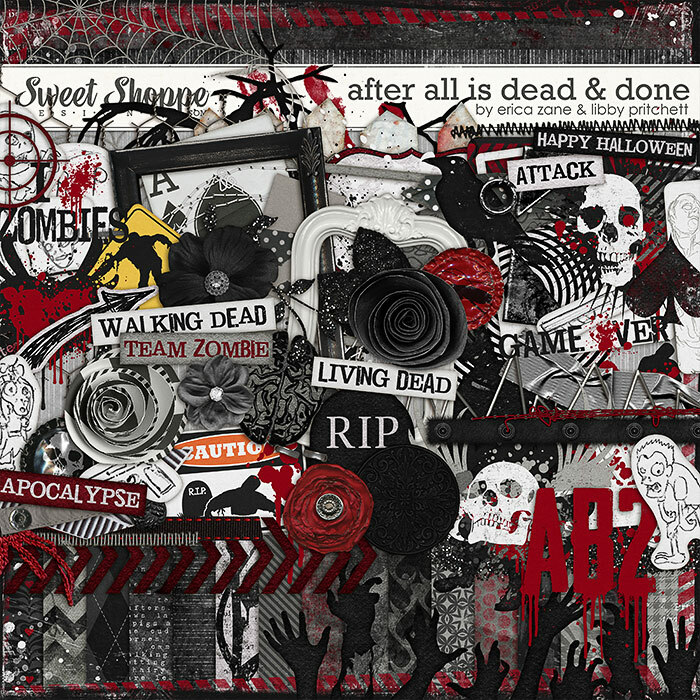 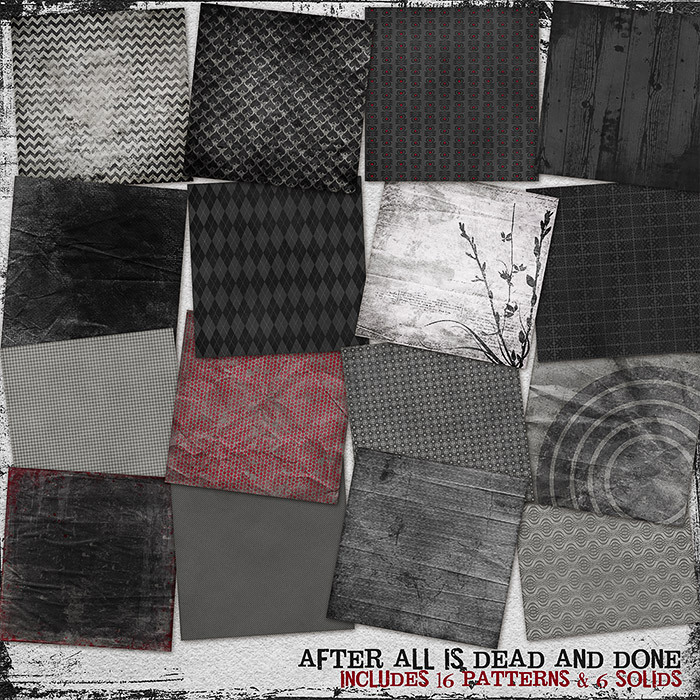 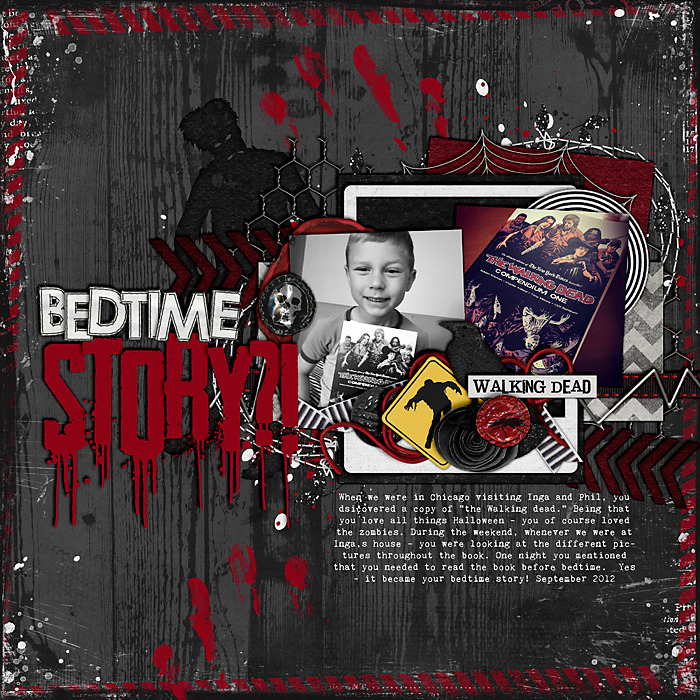 A digital scrapbooking kit by Libby Pritchett and Erica Zane, After All is Dead and Done is a dark and kinda creepy kit full of zombie loving goodness. 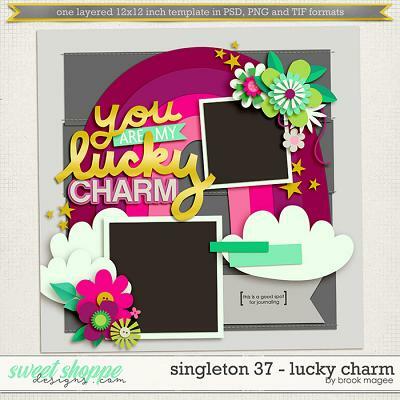 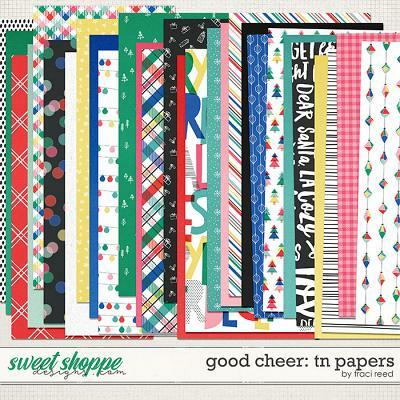 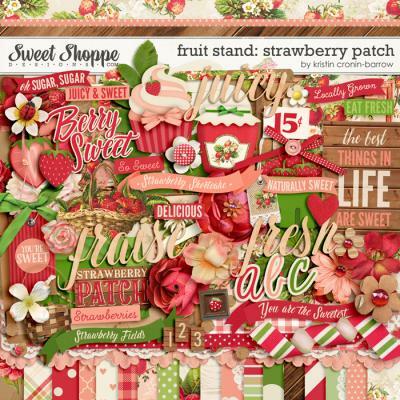 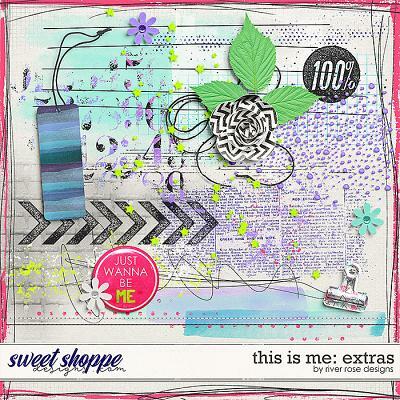 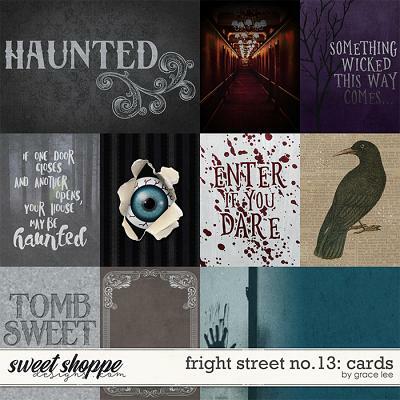 Packed with 22 digital scrapbook papers (plus a 12x12 grunge edge overlay), more than 70 digital scrapbook elements and a digital scrapbook alphabet (saved as individual .png files), this kit is perfect for scrapping so much more than Halloween photos! 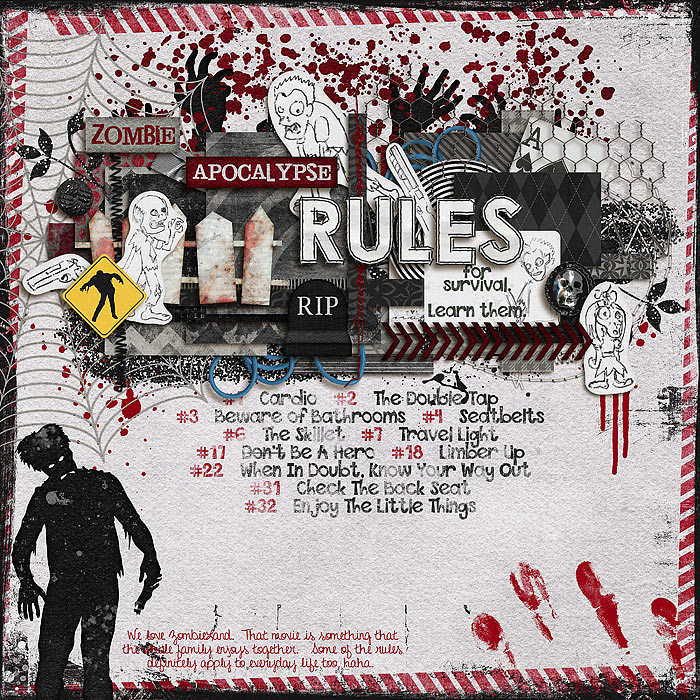 The elements include: 12 pieces of word art, 5 zombies, 5 flowers, 5 smears/splats, 4 stamps (spade, skulls, heart), 4 frames, 4 journal cards, 4 sets of stitches, 3 pieces of tape, 2 ribbons, 2 street signs, 2 fences, 2 bottle caps, 2 guns, 2 trims with snaps, 2 staples, reaching hands border, tree, tombstone, arrow, bird, chevron border, leaf, set of photo corners, playing card, vine, crosshairs, eyelet, glitter, cord/string, brain, piece of crochet, spider web, ornamental circle, bat, button, wire, hypnotize circles and a tag.